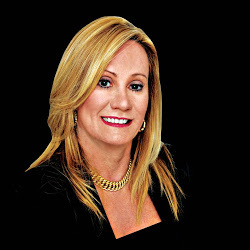 Toni Cieri is San Diego’s consummate real estate professional. As a licensed real estate broker (not just a real estate salesperson), Toni’s track record is well proven, as she over 25 years of success selling her clients homes within the local San Diego market. Enjoy the peace of mind of knowing that an experienced broker is professionally and personally handling every detail of your real estate transaction. The process of selling your home for the best price in the shortest amount of time can be stressful, which is why Toni is dedicated to providing the best possible service and results. She is cognizant to the special needs of her clients and works to make the process perform as smoothly as possible. Toni is an expert in target marketing and using the most modern, up-to-date technology to aggressively market nationally and internationally. Tools include virtual tours and property information on thousands of websites and total area coverage in quality color print ads. Toni also performs extensive networking – on a daily basis with prospective buyers, realtors and appraisers. Come and experience the difference when listing your property with Toni. Over 90% of her business comes from repeat clients and referrals, and excellent client references are available. Additionally, Toni is a local property owner – as a home owner and resident of City of Del Mar (Beach Colony). She also owns investment property in Solana Beach and Rancho Santa Fe, and is involved in the community. Toni has long been a fundraiser, sponsor, and donor of Del Mar schools, the Del Mar Community Connections group, the Del Mar Chamber of Commerce, and the Del Mar & Solana Beach Rotary. CA BRE #00780968 | Website design by Danny Flood.